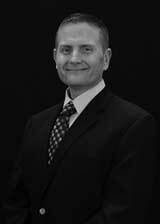 Mr. May is a latent print examiner with over nearly 15 years of experience in forensic science. He is currently employed full time with a large state government forensic laboratory as the laboratory director, and was previously a latent print examiner for the same organization. Mr. May earned a Bachelor of Science degree in biology from Alma College in 1993, and is also a graduate of the Michigan State University School of Criminal Justice’s School of Staff and Command. He has extensive experience in the fields of latent prints and both general and forensic photography. He is an instructor and lecturer for a variety of courses, including advanced evidence technician schools for the Michigan State Police, Detroit Police Department, and numerous other agencies throughout the State of Michigan. Mr. May has received, among others, specialized training in complex latent print examination and advanced evidence processing techniques, and is an expert in digital imaging and enhancement. He is also an experienced crime scene investigator, and can provide on-site investigative services at locations related to both civil and criminal matters. Mr. May is a member of the International Association for Identification (IAI), the Midwest Association of Forensic Scientists (MAFS), and the American Society of Crime Lab Directors (ASCLD). He maintains continuing education and advancement in his fields of expertise, regularly participating in professional meetings, workshops, and seminars.